Create Embellish Adore: OH MOTHER!!!! Mothers day is quickly approaching and I will be out of town, so I needed to mail my card to my mother, which translates to making a card for her!!! Oops! a life filled with purpose. While I have been absent from my blog, I still have been touching rubber... just in a sad, sorting kind of way... With the new 2012-2013 SU! catty revealed June 1, they have quite a retirement list. 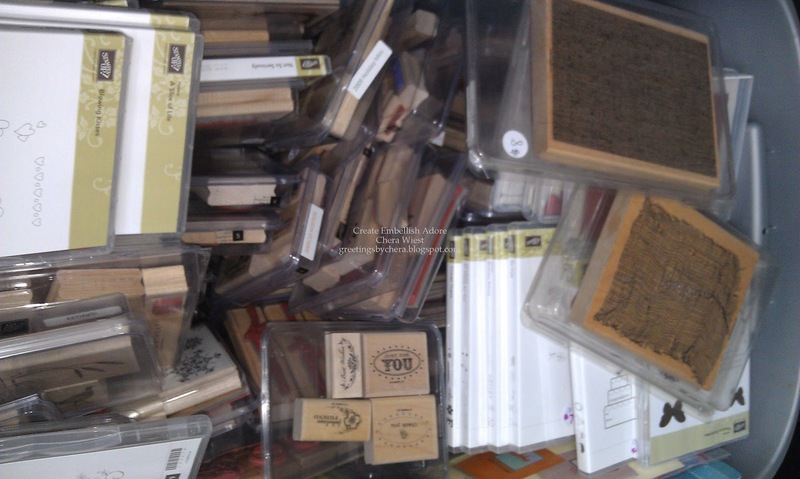 I sorted my retired stamps, and sadly will miss a handful of them dearly. So 100s... HUNDREDS of stamps are ready to find themselves new homes... to be loved, be inked, and enjoyed! With this being said, it was time to get my other retired stamps out of the way... I am talking stamps that I have owned since 1998. YES! I was a stamper then too! For sentimental reasons, I cannot seem to part with my first SU! foam stamp set. Oh well! I adore this card and this set, it has been a favorite of mine and love the color combo. So pretty! I love this fresh use of this gorgeous stamp set! 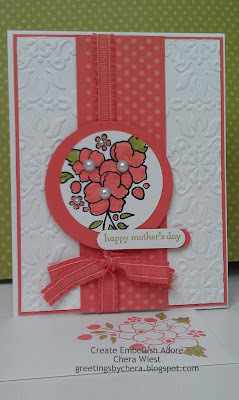 this is a super adorable card, luv the colors and texture..hope your week is fabby! 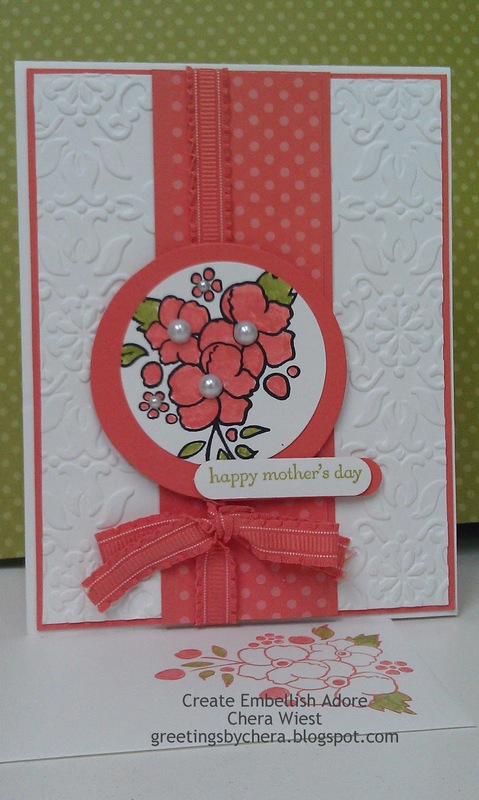 Beautiful Mother's Day card - love the pops of Coral, and added embossing! Thanks for playing along with the Bloggers Challenge!